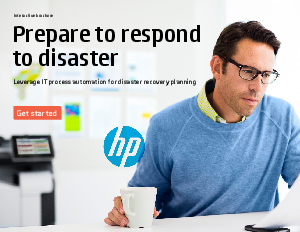 No business is immune to the threat of IT downtime caused by natural and manmade disasters. Natural disasters—such as earthquakes, tsunamis, hurricanes, fires, and floods—can happen with little to no advanced warning. But the bigger risk is often human-induced events—from simple IT configuration errors to significant data center problems. If you lack a rock-solid disaster recovery (DR) plan, any of these unpredictable events—natural or manmade—could bring your business and its revenue streams to a halt. Yet many organizations are not well prepared for the unknown. The randomness of such events lulls people into a sense of false security—“That’s not likely to happen here.” While you can hope to avoid events that threaten the continuity of your business, the reality remains unchanged: Disasters happen—so you need to prepare for them. Are you prepared? Please download this eBook to find out!